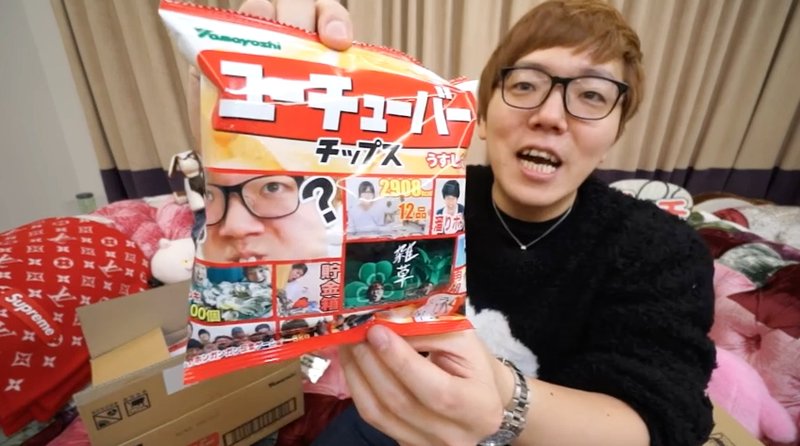 Potato chips featuring the images of popular Japanese YouTubers, such as Hikakin (pictured), are going on sale later this month. In Japanese, the bag reads "Yuuchuubaa Chippusu" (ユーチューバーチップス). 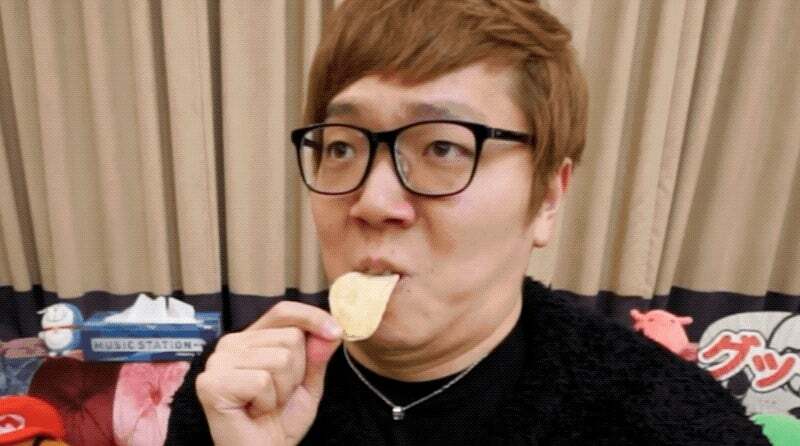 The chips are "lightly salted flavoured". The chips come with collectible YouTuber cards, and there are already inevitable YouTube clips.